SPECIAL REPORT / “The waves will not wait for the funding to be allocated before flooding our islands,” the small islands of the Pacific have warned. But climate finance is often beyond their reach. EURACTIV France reports. For Taukelina Finikaso, the minister of foreign affairs for the island state of Tuvalu, climate finance is a crucial subject. But along with the G77 and China, the Tuvalu islands have been fighting for the removal from the COP21 agreement of the proviso that developed countries can make financial commitments to less developed countries “according to their national circumstances”. Developing countries fear that this vague phrasing may allow some countries to avoid making any contribution at all to international climate adaptation efforts. But for the most vulnerable countries, the real problem lies elsewhere: they are concerned above all with the simplification of access to existing finances. “Our projects are small in size, and there is no corresponding financial mechanism. And we do not have the ability to fill in the complicated documents they ask from us: we have no scientists!” the minister lamented. He stressed that access to climate adaptation funds depends on a country’s ability to demonstrate that the changes they observe are in fact linked to climate change. “The Tuvalu Islands, the Marshall Islands and the Maldives are clearly all vulnerable. But at the moment they do not receive any climate finance! Unlike Jamaica or Senegal, which are less exposed but better equipped with engineers,” the diplomat said. In response, vulnerable countries are calling for preferential access to climate finance, and for this to be written into the Paris agreement. But even now, “access to financing is getting harder and harder”, according to the representative from Tuvalu, who is particularly disappointed by the latest rules for access to the Green Climate Fund. Tuvalu had a bid for a $100 million flood protection scheme rejected, and was instead granted $30 million to build dykes to protect its inhabitants from rising sea levels. “We will build the dykes, but only where there are houses. This means the rest of our islands are under threat!” said Finikaso. In view of the obstacles encountered by the small island states, developed partners like the Netherlands and Taiwan have offered help. 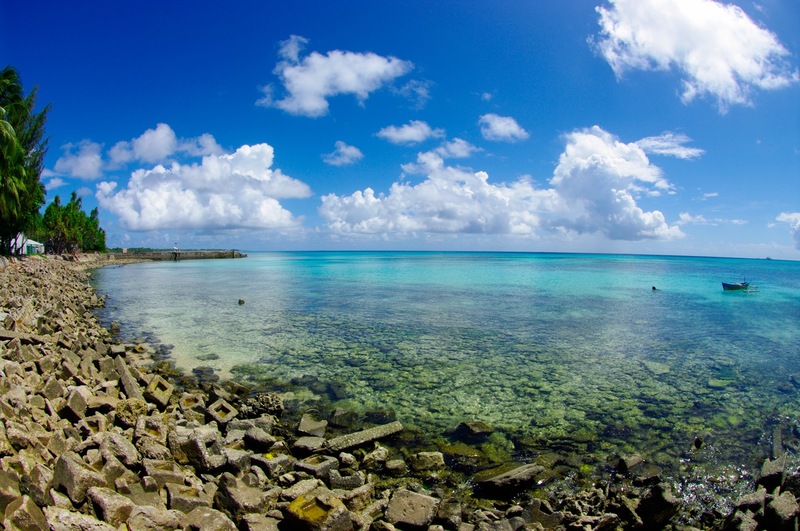 Taiwan’s Ministry of Environment has launched a long-term scientific study on the Pacific’s sea beds, which it hopes will allow it to identify temperature and environmental variations around the Solomon Islands. The results could be used in the future to back up the arguments of other Pacific islands that are struggling to prove the impact of climate change on their environment. For him, the tendency to focus on rising sea levels leads to other major questions being ignored, like the disappearance of corals and the increasing temperature of the water; two factors that profoundly affect sea-life. “We hope to make a precise map of the impact of climate change on these issues. This kind of map has never been made in the Pacific islands,” the minister explained. For the smallest of the most vulnerable countries, the situation is dramatic. “We have to accelerate the process! The waves will not wait for the funding to be allocated or for the COP22 to agree on who gets which finances,” Nauru’s education minister said. Paris is hosting the all-important 21st conference, from 30 November to 11 December 2015. The participating states must reach an agreement to replace the Kyoto Protocol, the object of which was to reduce CO2 emissions between 2008 and 2012. Reaching an agreement, whether legally binding or not, is the priority for the international community. The Green Climate Fund was created during the climate conference in Durban (South Africa) in 2011. The objective for developed countries was to raise $100 billion a year by 2020. An initial capitalisation objective has been fixed at $15 billion for the next three years.